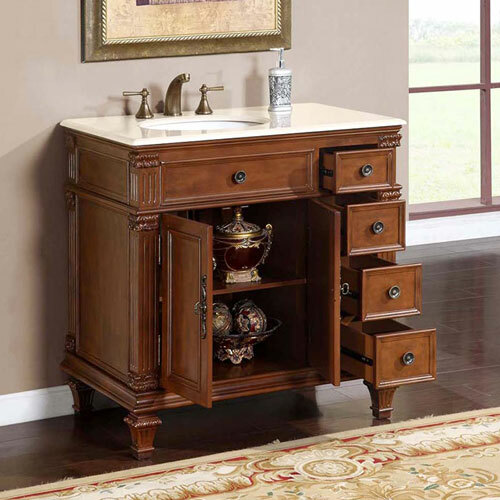 The Saranda Bathroom Vanity is rich in detail and has a lot to offer. 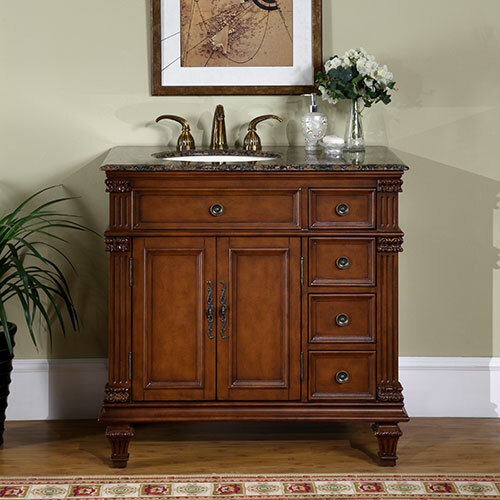 The countertop is available in two different materials, each of which complements the cabinet's warm cherry finish. 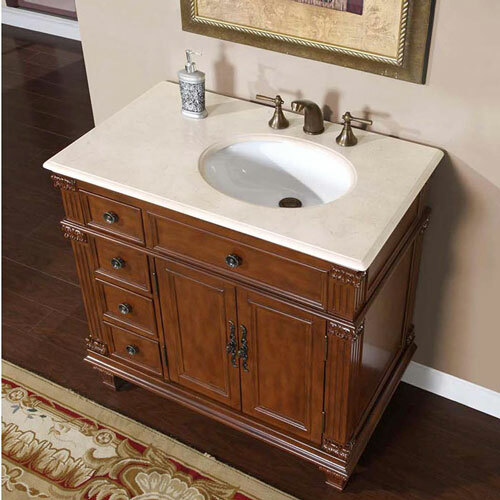 Each also arrives pre-drilled for standard faucet installation, although faucets are sold separately. 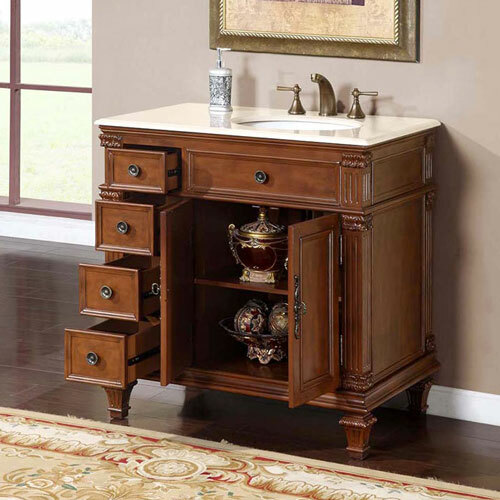 This single bathroom vanity is hand crafted to provide stunning details. 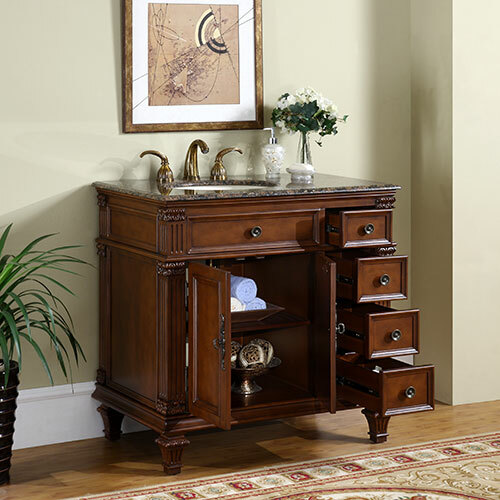 Four drawers and a double door cupboard provides a lot of storage, despite this vanity's convenient size. 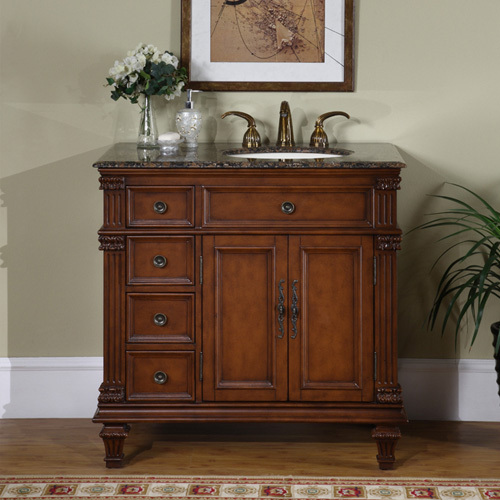 The sink can be orientated on the left (pictured) or right. 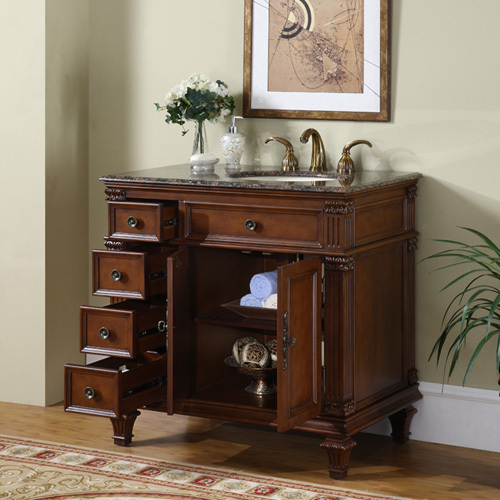 Use the Saranda to complete your traditional bathroom today. 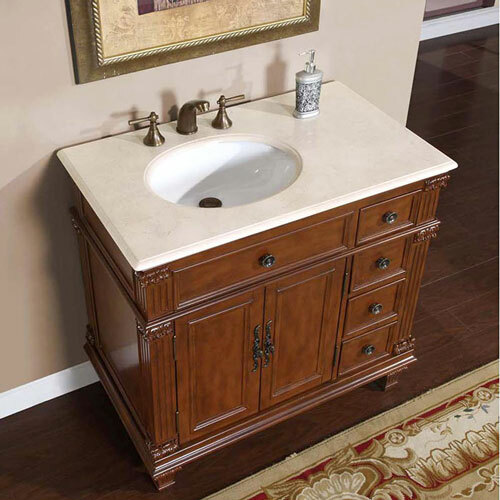 Please note that the Baltic Brown Granite top includes an ivory undermount sink, and the Crema Marfil Marble top includes a white undermount sink.